Can you believe another year is over? I can’t even believe my last blog post was a month ago. Having said that, it has been a December like no other. The advent calendar campaign took up a lot of my time – though with thirteen dogs adopted out of twenty-eight, I’m pretty pleased I did it. If nothing else, it raised the profile of these dogs in the refuge volunteers’ minds and meant that a huge number of dogs found homes. 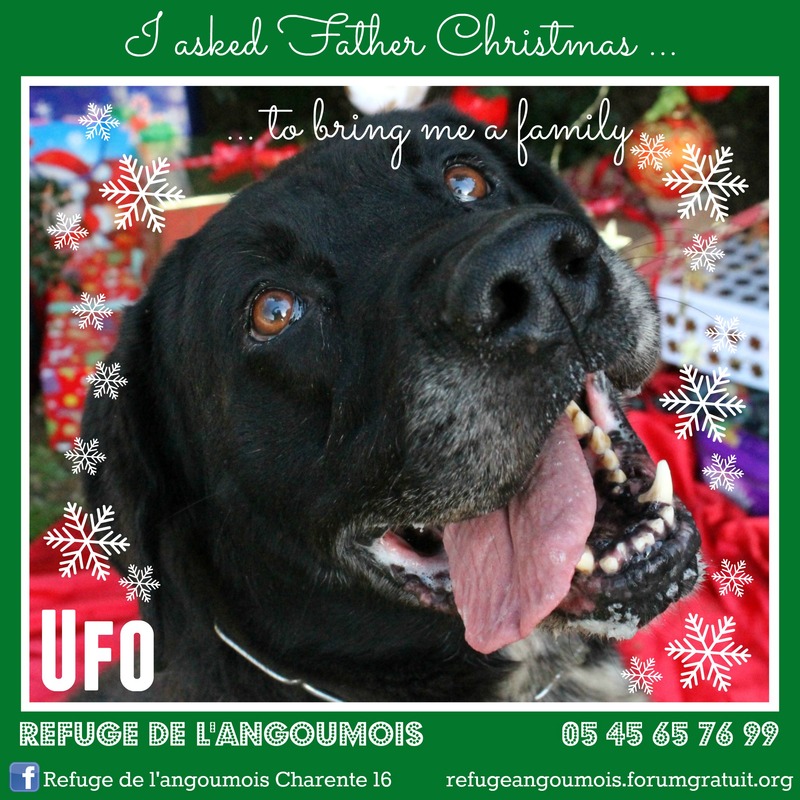 Even Ufo, with seven years under his refuge belt, found a home for Christmas. Fairbanks and Alaska, my two favourite brothers (other than Heston and Charlton of course!) found a home together as well. Dalton settled in well as far as I know – I had a phone call after 48 hours and I assume all is good beyond that – and between these four dogs, they had done almost 9,000 days of refuge time. That was the first thing that took up all my time! The second was the blessed baubles – as I write, I have five hours to finish the last 24 rounds on the last bauble. That is thirty-one baubles and no cheating. I knitted these little critters to raise money for some kitties who needed chipping, vaccinating and eventual sterilisation. All kitties have found homes and the remaining cash – I raised over 500€ as of today – will be donated to the refuge. I can’t quite believe I managed it! I’ve been busily trying to catch up with knitting as early December ended up being a bit of a free-for-all. Next year, I have a different challenge, as co-president of a local association of business women. It was my birthday too, and I got a fantastic new Sigma lens (my super-zoom!) which I’ve been happily playing with on days where I’ve had a little freedom to do so. Last year, I had twelve resolutions… I’m guessing it’s time for a progress report. To be fair, my year was very much thrown out of kilter in early January, and much of the year was spent trying to get to grips with the sadnesses life can bring you. It is little wonder the refuge brought me such salvation. That was one thing I didn’t expect at the beginning of 2014. I also didn’t expect to be sitting here with two new dogs. Now that was an unexpected alteration as well. Last year was the Year of the Dog, right? Resolution #1 was to knit an Arne and Carlos knitted bauble. Fact. I have now knitted 35 of the little blighters and got handcramp. These ones aren’t mine. Given how hard they were to start with, I soon found my stride. 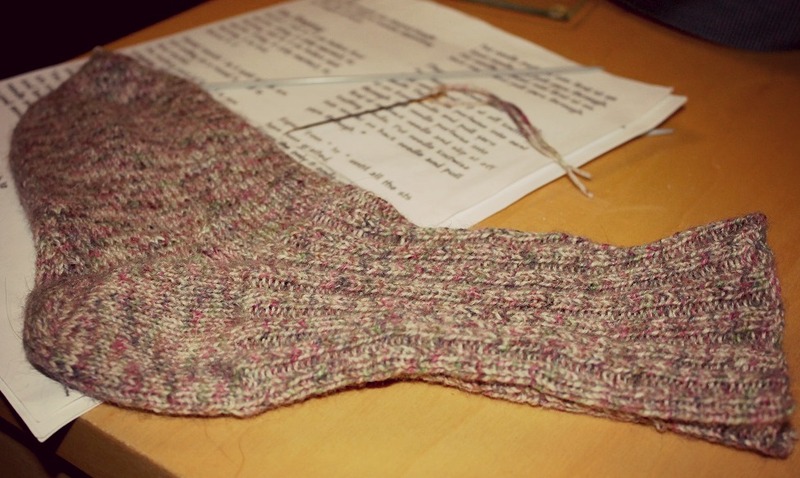 Resolution #2 was to knit some socks. I even knitted a pair for Verity. They take an age though and it bores me, all that knitting in circles. The garden – well, that was less promising. In fact, I don’t think I planted or grew much at all. The early spring was incredibly wet and keeping up with work took up so much of my time. I promise this year to be less available for so-called favours. It gets a bit ridiculous, everyone expecting me to do stuff for them, when I don’t even have time for myself. I know people ask me because they know I will do it, but except for a handful of people, favours are never returned. I tired myself out trying to please everyone. Wednesday was not a good day for a blog-writing session. Much Love Mondays will be making a return. I didn’t get through my sewing or embroidery projects. I think, when I have finished the scarf I put on hold at the end of November, I am going to spend a little time on the old embroidery. Knitting is becoming a dirty obsession. 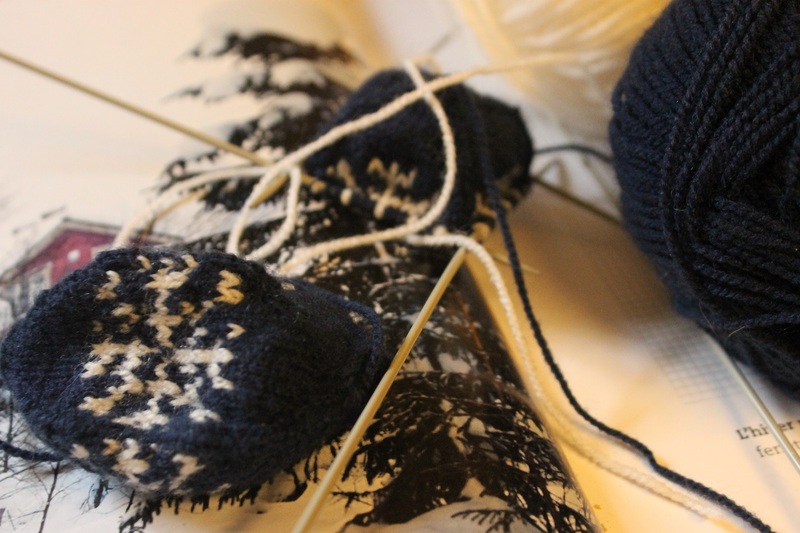 I have managed to master the art of intarsia knitting, as well as knitting on double-pointed needles, and cabling was the last thing on my list. I guess that is good. As for the photography project, that never took on much ground this year, except for the fact I just realised I spent a very long time on one particular project: the refuge dogs. Very few don’t have an Emma photo now and that has been an almost impossible task! Jo was my winning shot of the year, winning me a 6 month subscription to Dogs Today Magazine. 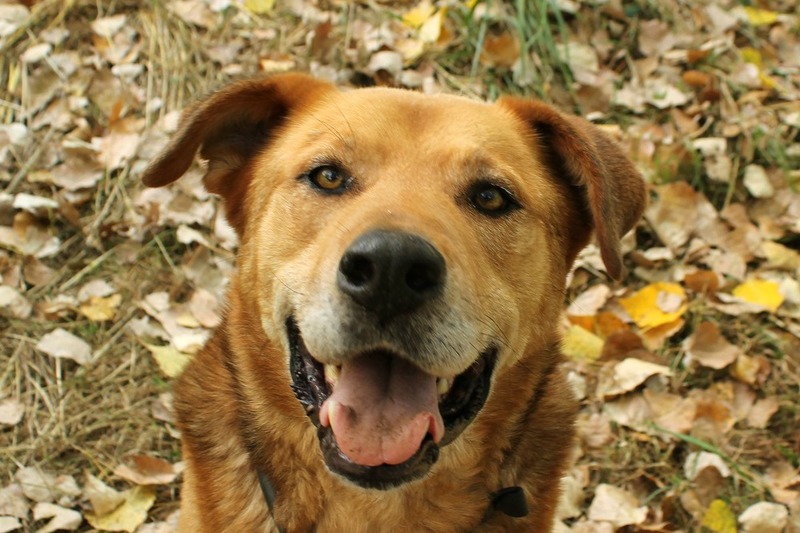 Ralf won Golden Oldie of the month in November. I guess that is an impromptu project of its own. As for 52 Mondays, well, I managed about 40 or so. The last weeks was not through want of dog walking – my dog walking has just taken a different path. The route I photographed was not a good route for Heston to be off-lead – too many coppices and not enough field space – so the last month or so we have been walking a more open route where he and I have a happy balance of off-lead and on-lead time. Plus, the farmer moved his cows next to the track and this drove me mental. First, Tilly is not averse to a little munching of cow pats, and second, Ralf really wants to make friends with the cows. Neither situation was one I was prepared to live with, and it tires me out putting on leads and taking them off again. I’ll hopefully run a few of these photos together in the next week or so – though I’m having technical issues and some of my photos have gone AWOL. Tonight, a quiet night with my sleepy four. Tilly is happily working on a bone she got for Christmas. Heston is airing his undercarriage on one side of me. Amigo is on the other, tucked under my armpit. Ralf is behind me, snoring gently. I’ve got a bit of knitting to finish, a couple of episodes of The Mentalist to watch, then an early night for me I think! Tomorrow, I’ll reveal my crazy plans for 2015. The beginning of December marked the first day of a photographic advent calendar I’d done for the refuge with the help of about twenty walkers and biscuit holders who were patient enough to jockey the dogs into position. Ufo was dog number 1, yesterday. He’s a twelve-year-old labrador who is still a big puppy at heart. He’s been at the refuge six years. High time he found a home. He’s a magnificent dog – quite sure he would have slotted in here just as Ralf did. 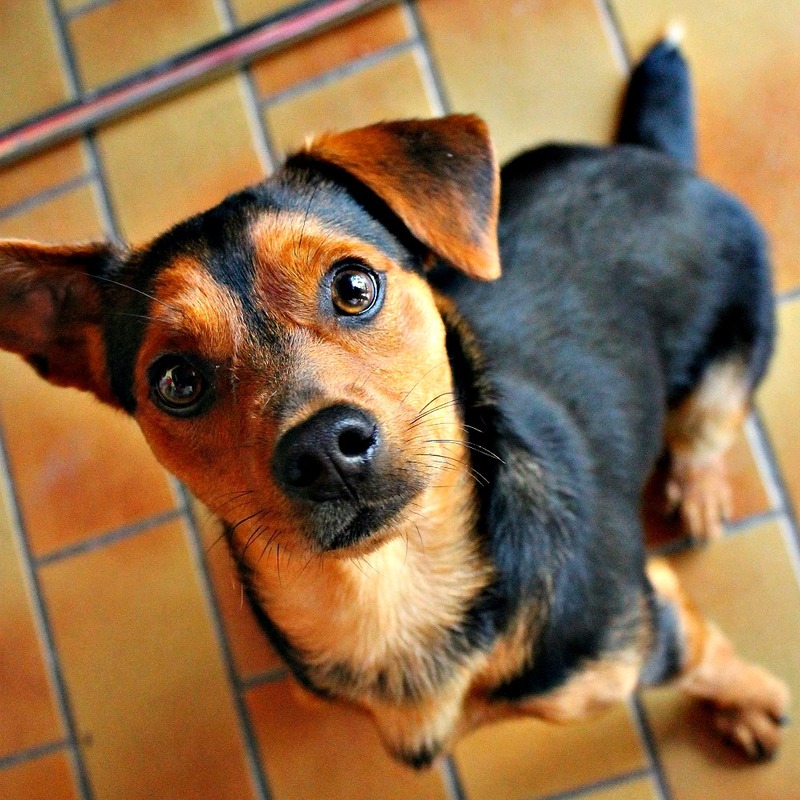 I did 28 photos – some just in case ones – and I’m glad because a couple of dogs on my list have already gone, Artiste and Toupie, who made their way up to Germany, and Dalton who I taxiied up to his new family on Friday. That left me with 25 photos. Dalton is doing very well – new family are very happy with him and so far, he has been behaving himself. After five years at the refuge, he obviously realises what side his bread is buttered on. I was sad, however, to see scarring on his neck – old scars on the collarline from his life before the refuge. Sad too because I’ve walked him dozens of times and never noticed. He doesn’t look very happy on this photo, but he really was. It was fantastic to see how excited he was on the journey. I’m sure those dogs know that when they get to hop in a car, it’s the beginning of something magnificent! 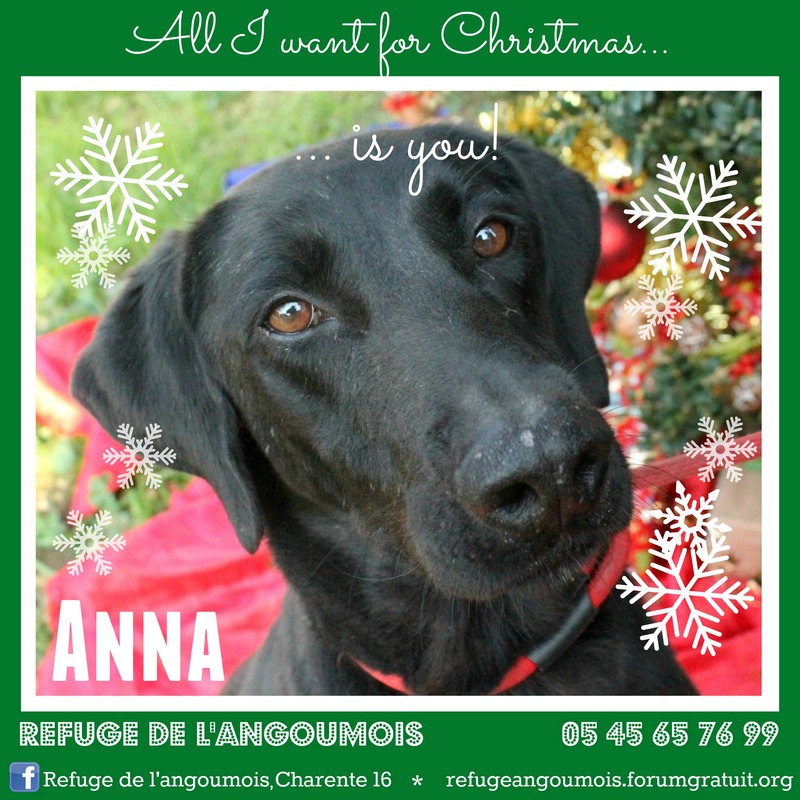 Anna has hopefully been adopted this afternoon, which means four of the oldies or long-termers on my photos have now found homes. That is quite something. I know it’s too much to hope for all 28 to find homes, but I can wish. 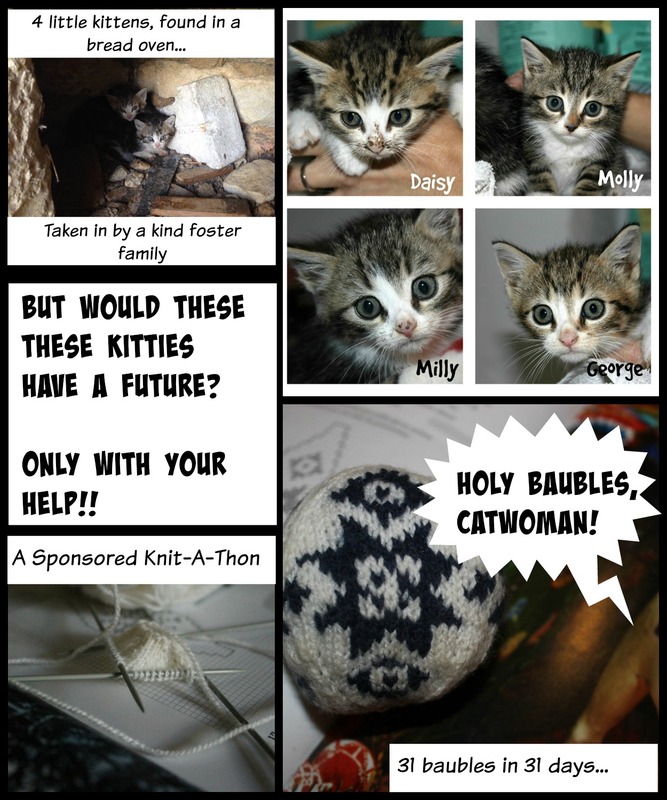 I’ve also started my sponsored knit to raise money for these little babies found in a bread oven. So far, I’ve raised 500€ in pledges and donations, which should cover vaccinations, chipping and sterilisation which can then be recuperated when the cats are adopted. She says. Finding homes for kittens is becoming tougher and tougher. Seems like everyone has four or five cats already, at least! 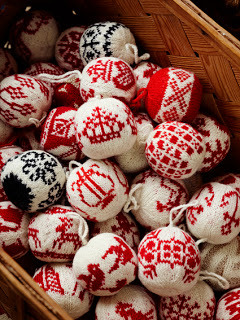 I’m knitting 31 baubles in 31 days… they do say the devil makes work for idle fingers! Honestly, it’s forcing me to sit down and catch up with films and television. Forced passivity in front of a fire is no bad thing in winter. I’m sending the baubles out to people who have supported me in a random draw. This takes the place of the writing I’ve been doing for NaNoWriMo, National Novel Writing Month, which I’ve participated in for the last three years. Yeah, I don’t know how I managed it either, between the doggie advent calendar and the refuge stuff and working and walking. Sometimes I amaze myself.